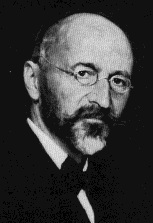 Eugen von Böhm-Bawerk was an Austrian economist and Professor of Economics at Vienna. His most important contribution to economic theory was his analysis of capital and interest in which he argued that people were prepared to pay interest in order to borrow, because they expected to be better off in the future and put a higher valuation on present. rather than future goods. Boehm-Bawerk said that capital bought with borrowed money would increase productivity until, in equilibrium. productivity became equated with the rate of interest. He expounded these ideas in Capital and Interest (1884) and The Positive Theory of Capital (1889).